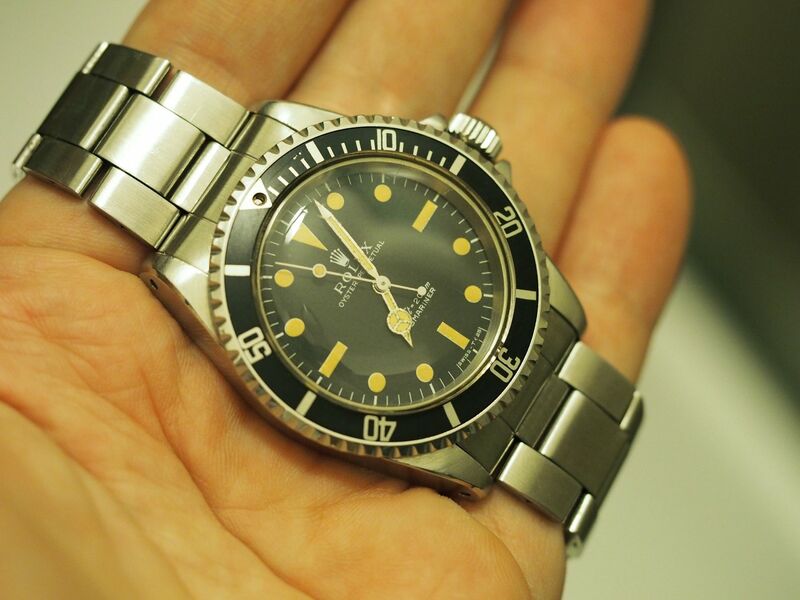 Unlike the other submariner models less text on the dial and no-date function gives the 5513 a "minimal" character. It was introduced in 1962 and the production continued until 1990. 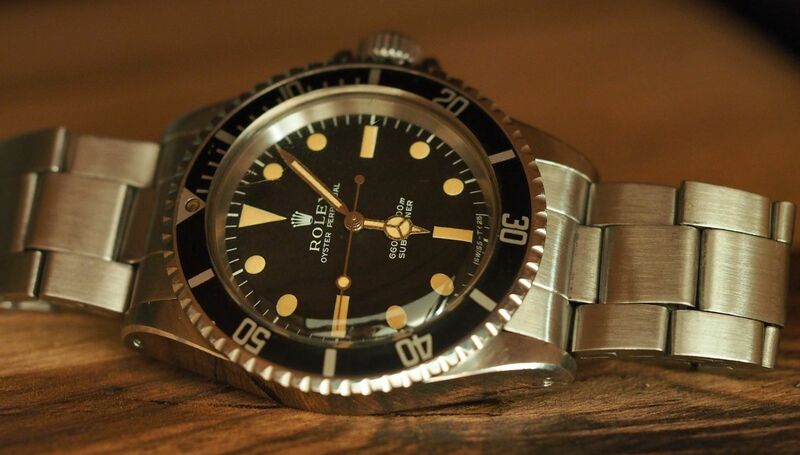 The "Gilt/Gloss" dials were being used between the years 1962 - 1966, which are more valuable and collectible nowadays. 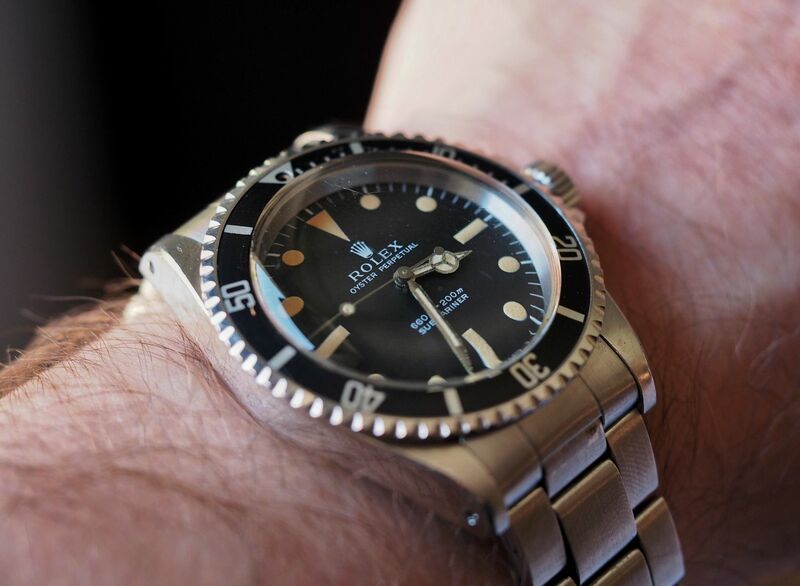 Later on, the "Matte" dials with the white print being applied on the matte surface (1966 - 1984) and following that the ''Gloss/WG" version with the tritium markers featuring white gold surrounds applied on the gloss dial (1983 - 1990) were being used. The version we will focus in this write up is a 1972 "Feet-First" Singer dial, the feet text taking place before the meters text on the dial. 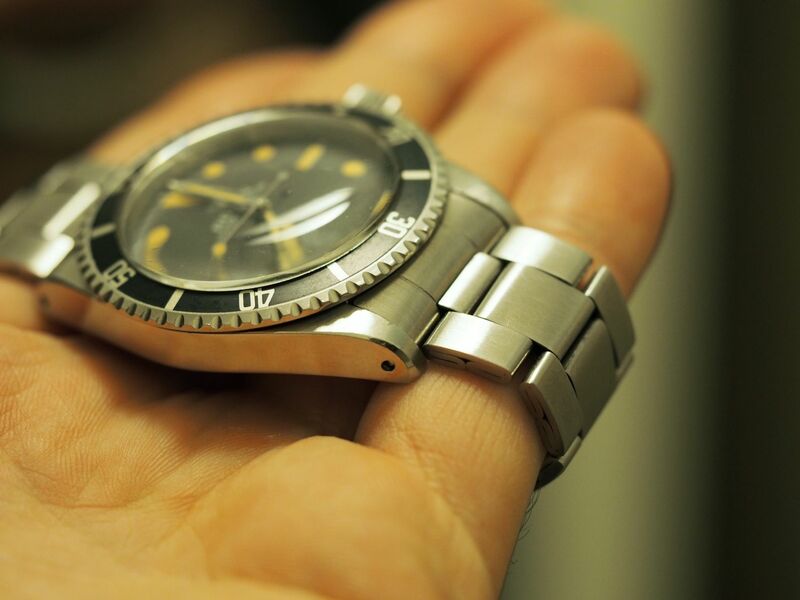 The most exciting part of the watch is the T-19 superdome plexi. It might look like a simple plexi glass piece, but the distortion appears everytime you look at the watch and plays with the eyes. I personally find myself looking at it over and over again. 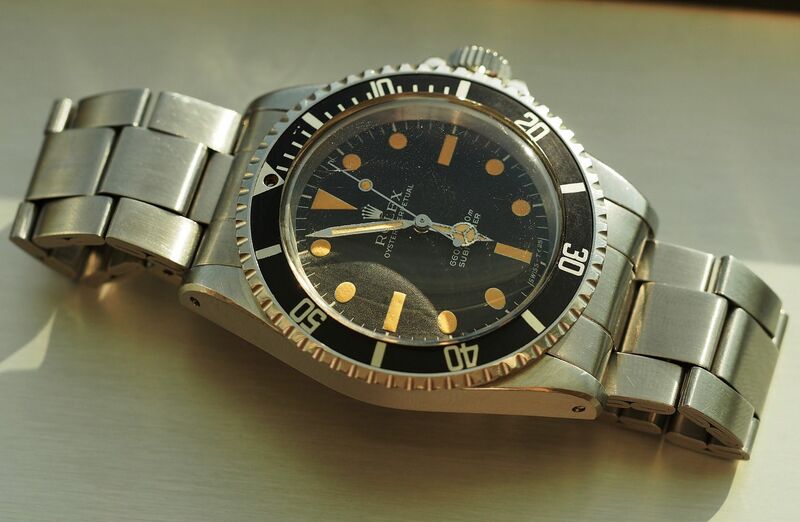 Having no-date feature with the cal.1520, it is often refered as the "Simple Watch". The 9315 folded link bracelet comes with the divers extention and the flip-lock system. 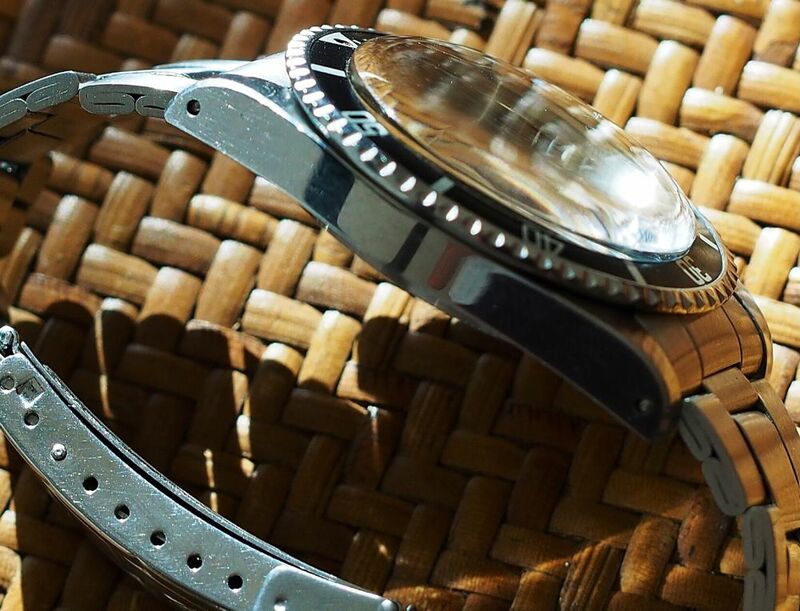 One of the major detail that differs the watch from different periods of productions is the "chamfers". Particularly this example which i believe still shows the original case details, helps us to understand the desing features of the period. 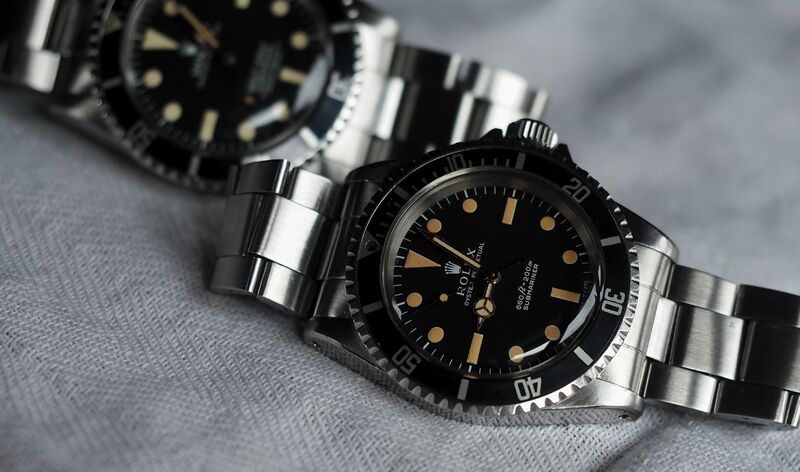 The iconic reference of the submariner family 5513 have a balanced and simple look which also makes it handy. 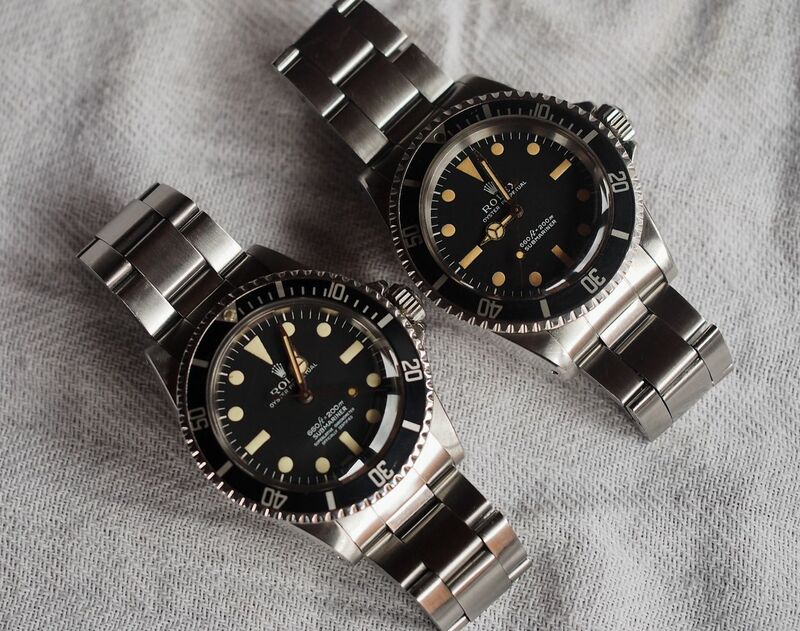 The no-date provides the comfort of not worrying to keep your watch up to date as we all know adjusting the lagged date wheel on vintage Rolex could be a problem sometimes. Unfortunatelly it is not very easy to find the original T-19 superdome as they are not in production anymore. 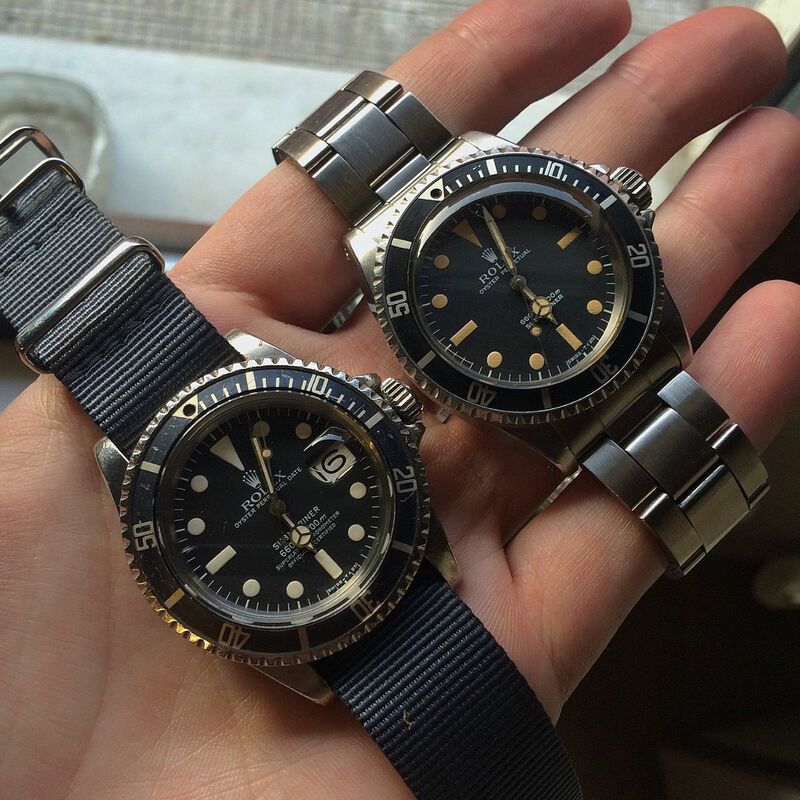 Rolex replaces the old plexi with the "Service Crystal" in the overhaul which has a more flat appearance. It takes away the charm of the look in the meantime it is an obligatory to provide the water-tightness warranty.